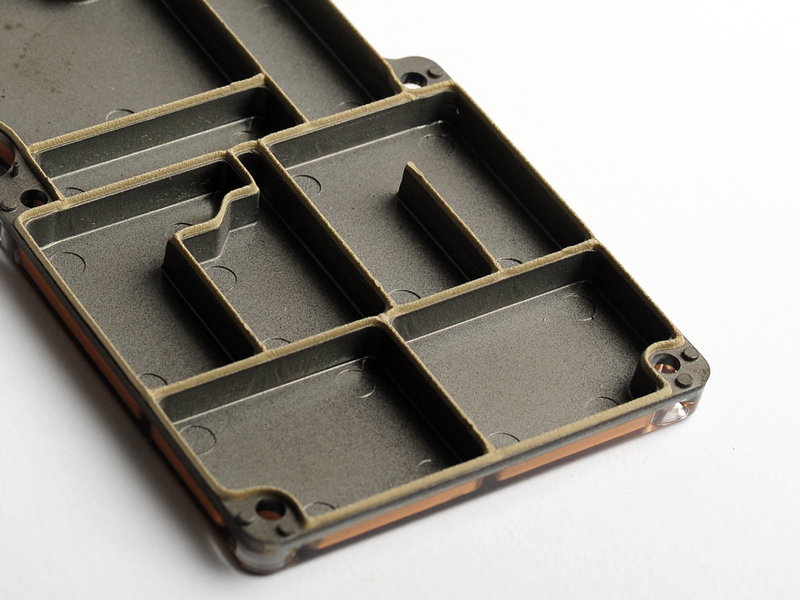 The Clamshell Gasket consists of an aluminum cover with a dispensed conductive silicone (Form-In-Place Gasket) on the edges. 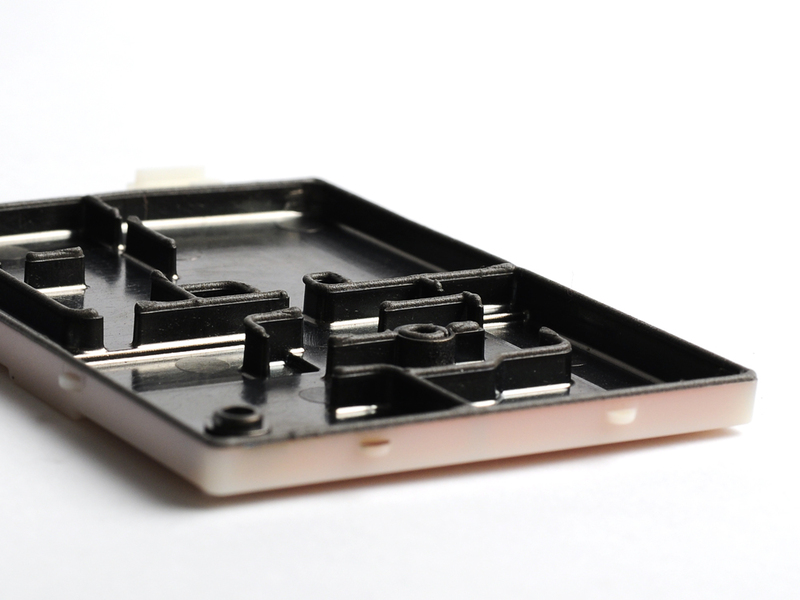 This eliminates the potential of RF leakage from substrate deformation and minimizes the number of screws required to maintain full contact with the PCB. 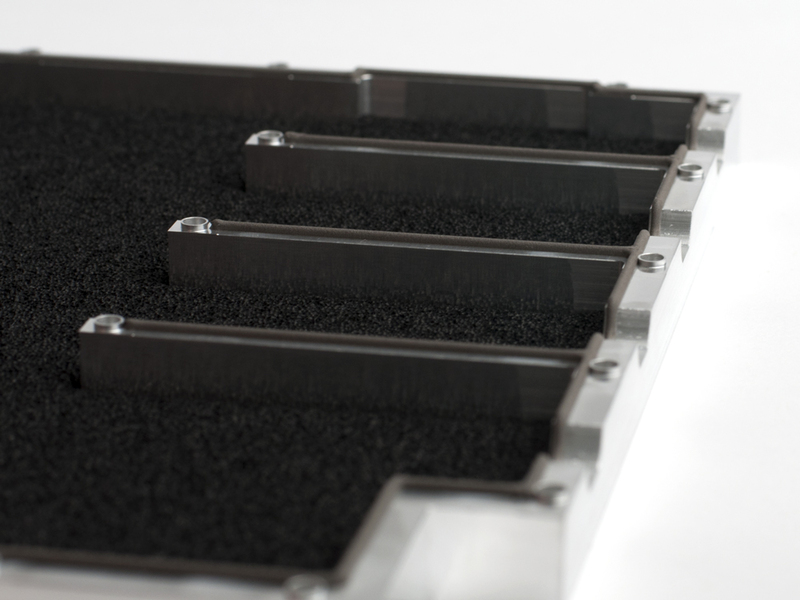 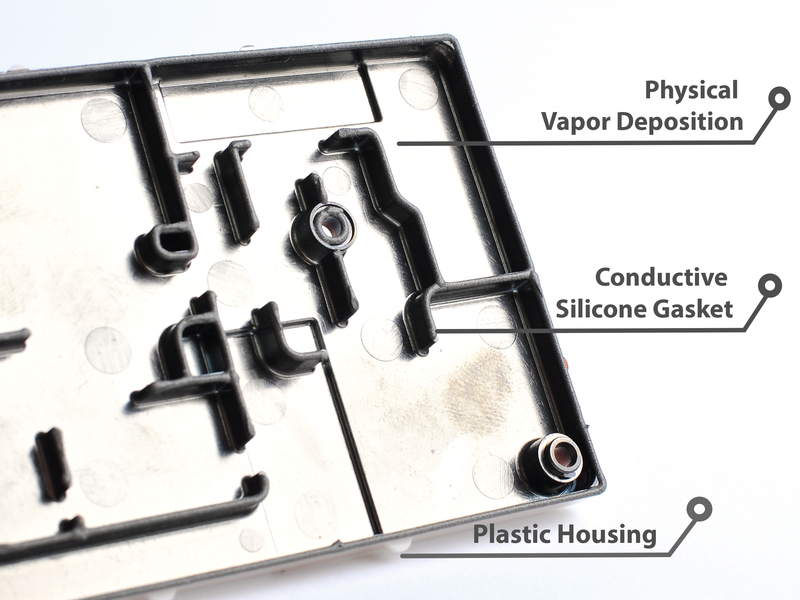 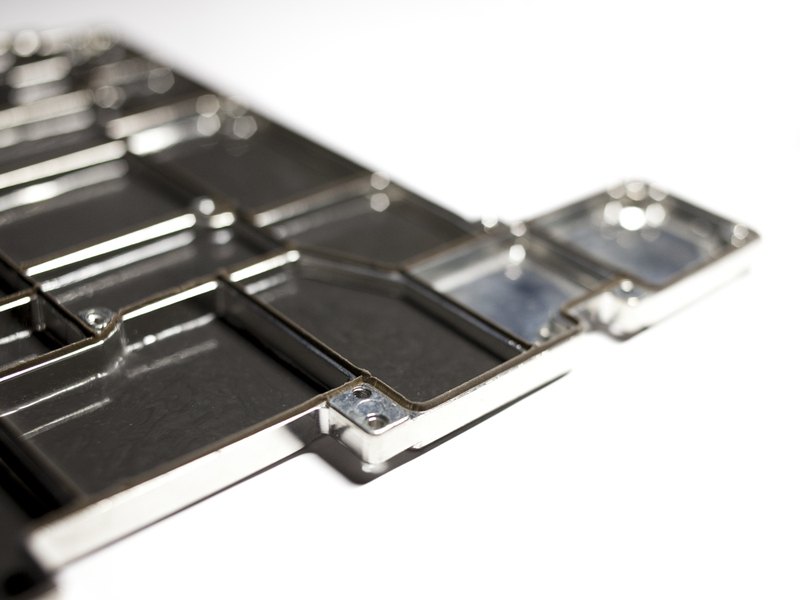 Pcan uses a molded plastic frame metallized with our proprietary Physical Vapor Deposition process with a conductive silicone edge to eliminate any potential gaps. 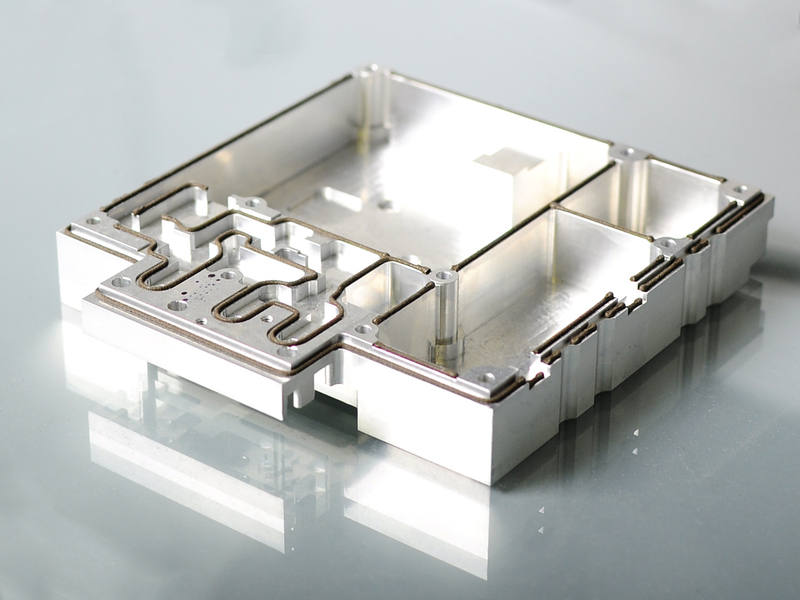 Pcans are most commonly attached via screws and are an excellent solution for low cost multi-cavity applications.